Located on the northeast cost of the island of Phuket, Phuket Yacht Haven Marina welcomes boats of all sizes but is widely regarded as a first port of choice for superyachts. With the benefits of deep water access and close proximity to the airport, it has become the largest and busiest marina in the region and has seen demand grow sharply for ever larger berths. 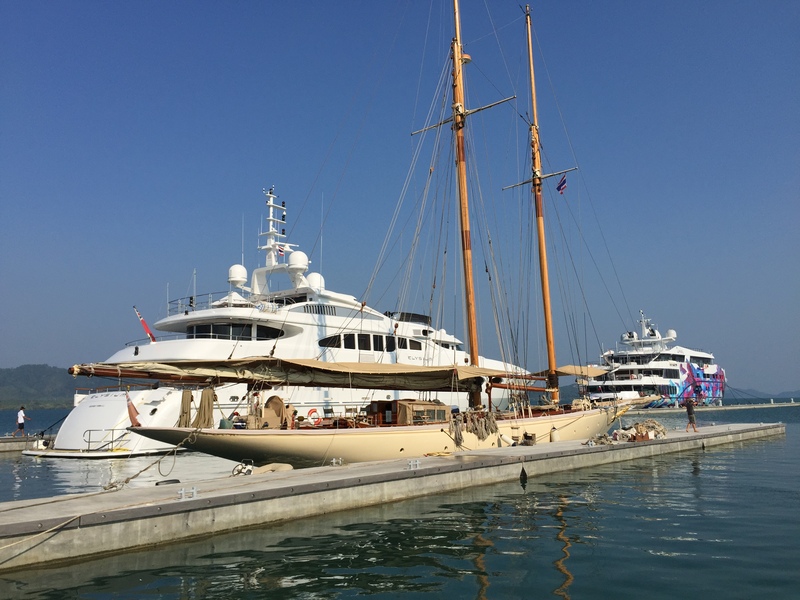 The construction of this dedicated superyacht pier in 2015 provided the first 100 m superyacht berths in the region and represented a landmark introductory reference for Seaflex and Marinetek in South East Asia. Vessels berth on each side of the 260 m long Super Yacht Pontoon and at three further 48 m long Super Yacht Fingers. All pontoon elements were manufactured in Johor, Malaysia, and transported 600 nm to Phuket by ocean-going barge. The marina offers a good range of shoreside facilities and leisure amenities.